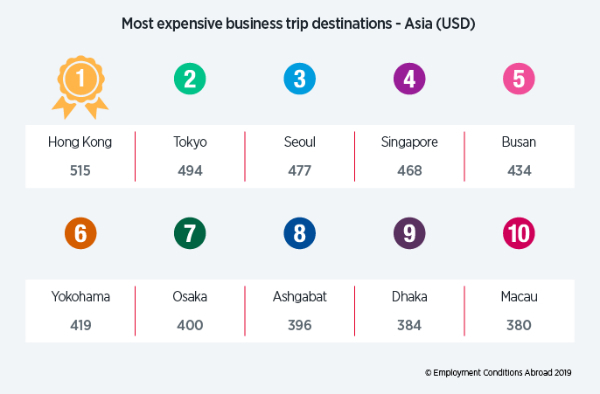 Singapore is now the fourth most expensive location in Asia for business travel, with a typical business trip to Singapore costing an average of USD 468 per day, finds a study published by ECA International. “The cost of a business trip to Singapore has stayed relatively static due to the steady level of international business travel to the country,” said Lee Quane, Regional Director – Asia at ECA International. “However, the price of a hotel room has dropped slightly, down to USD 249 per night from USD 256 in 2018. 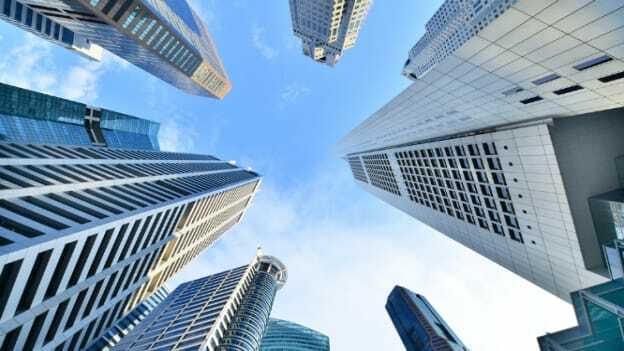 Singapore continues to be popular for international business, as illustrated by the fact that Singapore remains in the top five most expensive Asian locations,” said Quane. For the second successive year, Hong Kong has been named as the most expensive location in Asia for business travel. The average business trip to Hong Kong would cost an overall total of USD 515 per day, including hotel costs of USD 286. In China, the most expensive business trip destination is Shanghai, at USD 378 per day. Bangkok has seen an increase in the cost of business travel, with the typical business trip to the Thai city now costing USD 290 per day. The cheapest location in ECA’s rankings was Johor Bahru in Malaysia, where a business trip would cost just USD 184 per day, with hotel costs accounting for just USD 83 of this amount. New York is the most expensive location in the world for business travel, with the average per diem cost of a business trip standing at USD 799. “New York tops the rankings for another year as the price of business travel continues to grow. New York is now over USD 80 more expensive per day than the second-placed city in the rankings, Geneva. Hotel rates in New York continue to be charged at a premium due to high demand, with the cost of a hotel stay making up a huge USD 512 of the daily total,” explained Quane. In Europe, Swiss cities continue to dominate the top ten, with Geneva, Zurich, Basel, and Bern all among the most expensive European locations for business travel. However, it is the Icelandic capital Reykjavik which saw a big leap in the cost of business travel, with the average trip now costing a total of USD 615.